Daniel Shirey/Getty ImagesRonald Acuna Jr.’s hot streak was cut short on Wednesday night after Jose Urena hit him with a 97 mph fastball on his very first pitch of the game — and the moment sparked a debate about the ‘unwritten rules’ of the sport. 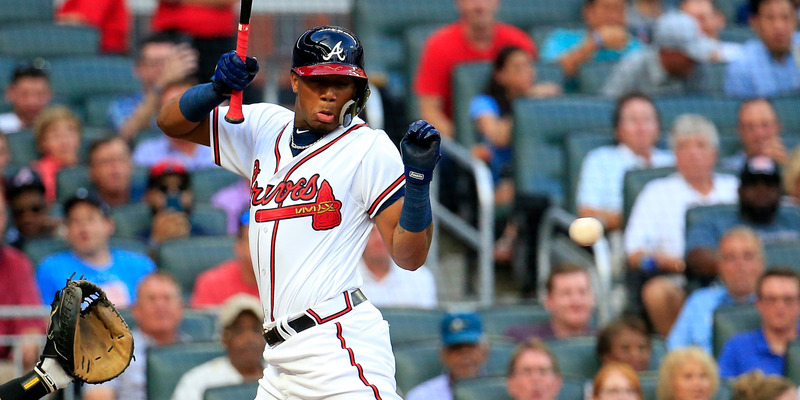 Atlanta Braves rookie Ronald Acuna Jr.’s historic hot streak was abruptly put on pause on Wednesday after Marlins pitcher Jose Urena beaned him with a 97 mph fastball. Throughout the baseball world, fans, experts, and coaches expressed their disgust with the move, noting that Urena seemed to be punishing Acuna for the crime of being too good at baseball. The moment once again led some to question the oft-discussed “unwritten rules” of baseball. Atlanta Braves rookie Ronald Acuna Jr. was in the midst of a historic hot streak entering the team’s Wednesday night matchup against the Miami Marlins. Acuna had hit a whopping eight homers in his past eight games and had hit a leadoff home run in the Braves’ first three games against the Marlins heading into the finale of the four-game series. To ensure that Acuna didn’t make it four straight opening homers, Marlins starter Jose Urena never even gave him a chance, beaning him with a 97 mph fastball with his very first pitch of the game, sending Acuna to the ground and prompting a confrontation between the teams at the mound. Urena was ejected, and Acuna was forced to exit the game shortly after the hit. Across Twitter, the baseball world was almost unanimous in its disgust with the tactic. While some believe baseball abides by a set of fabled “unwritten rules” that sometimes permits the intentional hitting of a player, all were mostly in agreement that this was a clear violation. MLB insider Buster Olney was one of the prominent voices that spoke out against Urena’s actions, asking baseball fans to imagine the roles reversed. The Braves Twitter account also made its feelings known, posting a passive-aggressive response showing the proper way to challenge a hitter. Urena’s one prominent defender came in the form of Mets broadcaster Keith Hernandez, who argued that he was left with no other option than to plunk Acuna in order to throw him off his hot streak. People did not take too well to Hernandez’s analysis. For now, things appear to have worked out alright, all things considered. Acuna’s x-rays and scans were negative, and he is currently listed as day-to-day. Had he wound up seriously injured – not a stretch of the imagination for a player who got hit on the elbow with a 97 mph fastball – chances are the conversation surrounding Urena’s beanball would be even more heated. The Braves bounced back after the tense opening moments of the game to complete the four-game sweep of the Marlins. In the fourth inning, Dansby Swanson hit a go-ahead two-run home run for Atlanta and finished his run around the bags with Acuna’s traditional celebration in a nod to his teammate. The Braves would not trail again. The Marlins host the Braves for one more four-game series in just a week’s time in what could be a tense reunion depending on Acuna’s status. Whenever he does finally make his return to the field, Acuna’s streak will still be intact. Per MLB's Rule 9.23, @ronaldacunajr24's home run streak will still be active when he plays his next game.